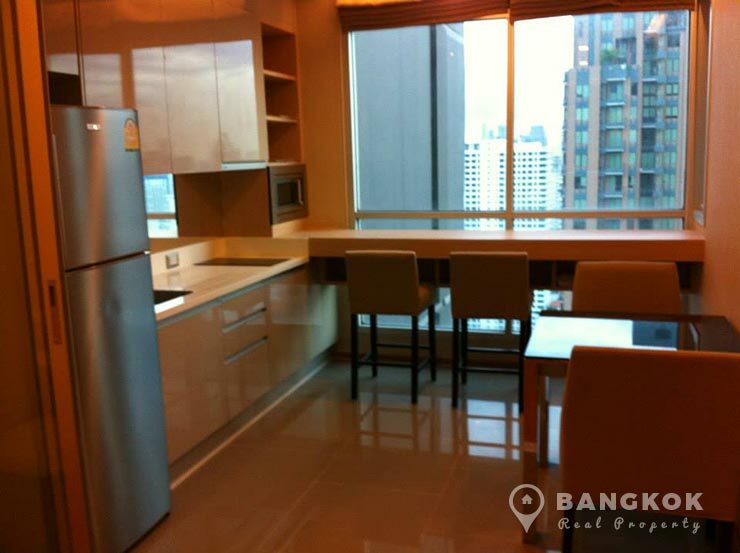 A spacious, modern, 1 bedroom condo is now for rent at The Address Asoke, superbly located just 2 minutes walk from MRT Phetchaburi. 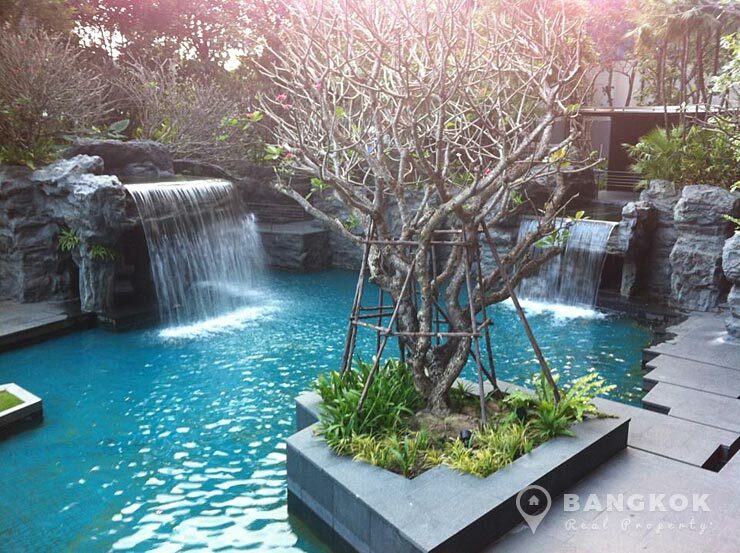 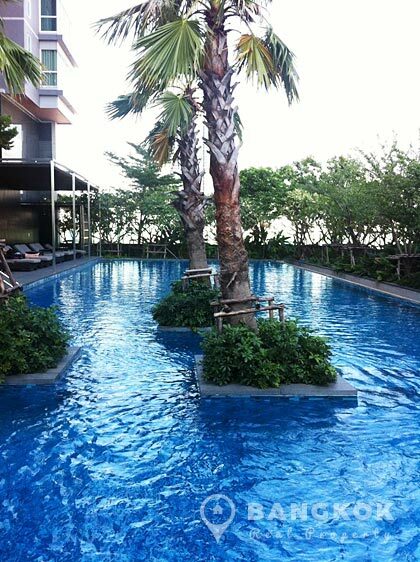 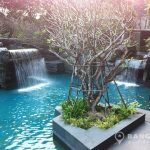 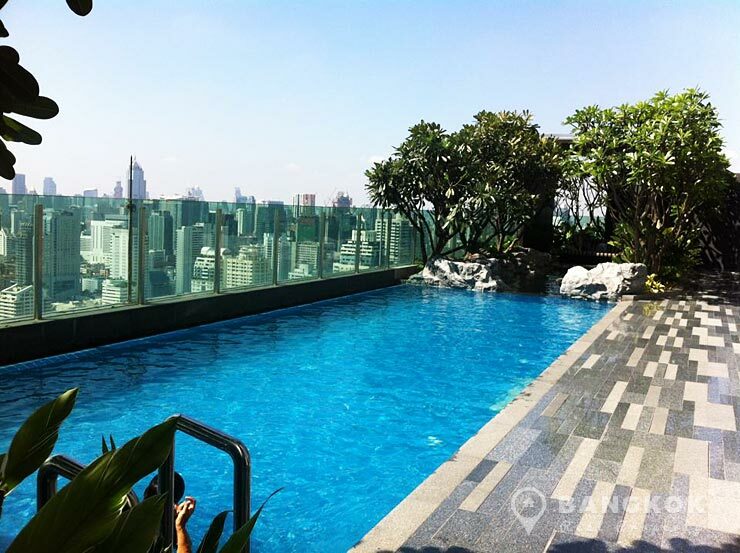 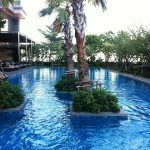 This popular high rise condo development by AP Thailand was just completed in 2012 and is located close to excellent shopping at Central Plaza Grand Rama 9, Midtown Asoke, Villa Market, Foodland and several prestigious international schools. 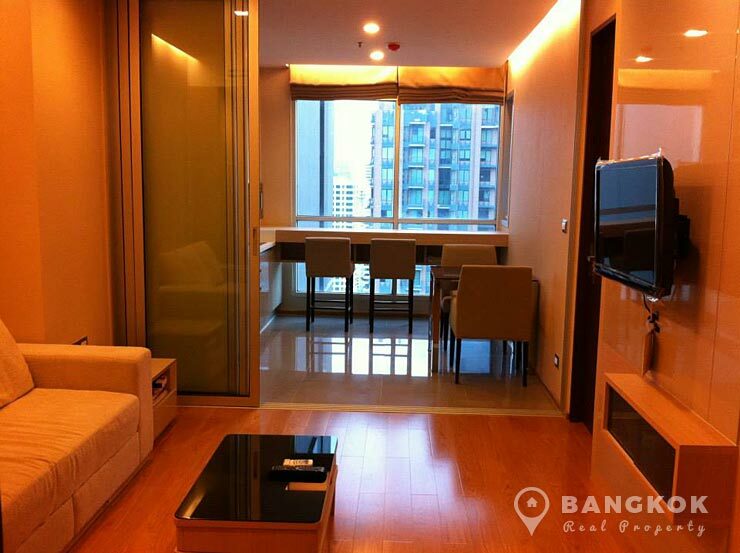 Situated on a high-floor of The Address Asoke this 1 bedroom, 1 bathroom, 46 sq.m with balcony is tastefully and fully furnished, with wooden floors throughout, an modern kitchen with built in units, electric hob, microwave, washing machine and fridge-freezer open plan to a bright living area with LCD TV, dining table and sofa. 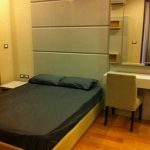 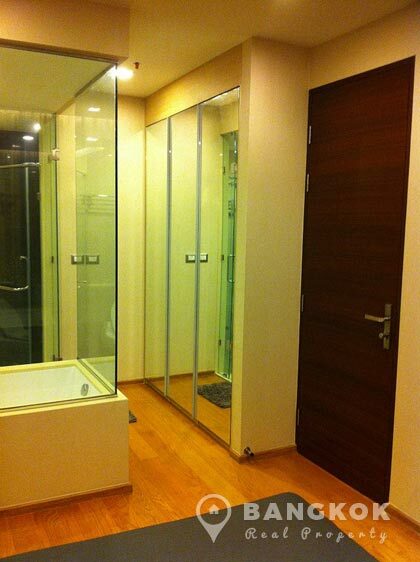 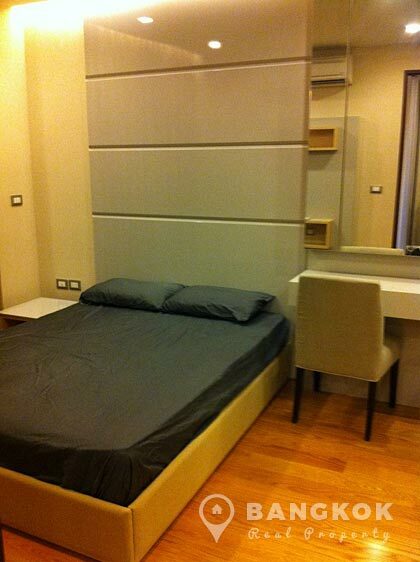 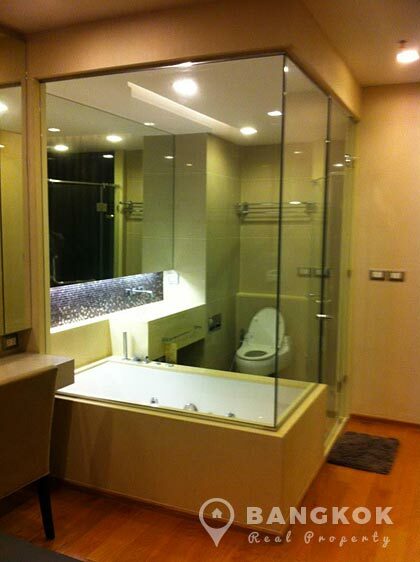 The double bedroom has excellent wardrobe space and a modern bathroom glass partition and bathtub and shower. 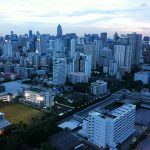 The Address Asoke is a condominium project, located on Phetchaburi Road just 2 minutes walk from Phetchaburi MRT station. 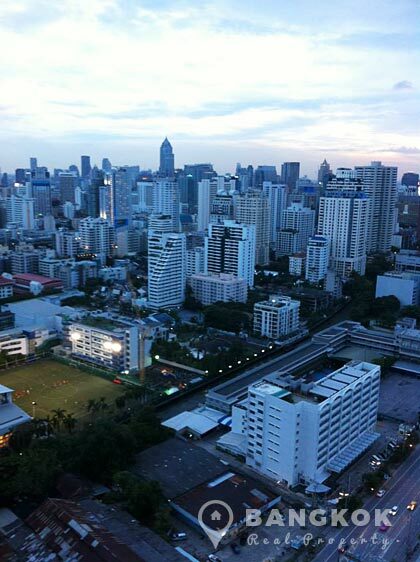 Developed by AP Thailand and completed in 2012, The Address Asoke is a high rise project which comprises of a single building with 44 floors with 574 units, a mix of 1 and 2 bedroom units.